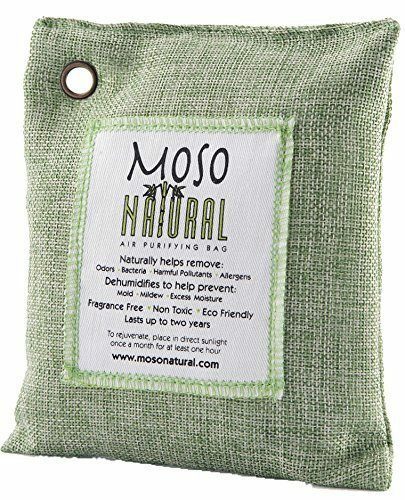 Moso Natural Air Purifying Bag Was $15 Now Just $10.75! You are here: Home / Great Deals / Amazon Deals / Moso Natural Air Purifying Bag Was $15 Now Just $10.75! Perfect for closets & storage areas! Head over to Amazon and order the Moso Natural Air Purifying Bag Was $15 Now Just $10.75! Shipping is FREE with Prime or on overs of $35+. Don’t have Prime? Try a 30 day FREE trial! The Moso Bag is the easiest way to maintain a fresh, dry and odor free environment. Fragrance Free, Chemical Free and Non-Toxic, the natural moso bamboo charcoal will and effectively absorb odors, allergens and harmful pollutants. Prevents mold, mildew and bacteria from forming by absorbing excess moisture. The powerful bamboo charcoal is sealed inside a beautifully stitched linen bag. It is safe to place on any surface or material.